Placental extracts have been used from long time ago in medical practice due to its anti-aging and wound healing properties. The rich placental extract contains an abundance of stem cells, vitamins, growth factors, proteins, and enzymes which help the body to heal and repair itself. The placenta is a material produced only at the time of birth in mammals, through which the mother’s body provides nutrition and oxygen to the foetus. How safe is Placenta to Use? Every placenta extract goes through strict screening procedure. We use medical grade solutions that are completely safe and have passes all needed safety tests. What Conditions is Placental Extract Therapy used to Treat? How often should I get the Placental treatment Done? The sessions are done once in two weeks for 4 sessions. Followed by a maintanence once a month. Are there any adverse side effects with Placenta Treatments? The solutin can be used with simple treatments like oxygen and dermarollers with some redness noticed after the treatment. Allergic reaction can occour and manifest as itching , redness on the skin . the raction is temporary and subsides in a few hours. What are the ways in which it can be used? 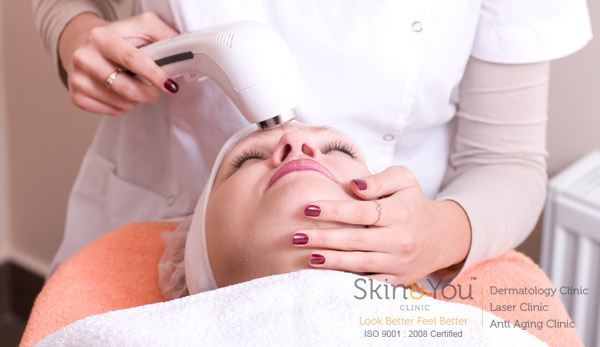 Why Skin & You Clinic for Placenta Extract Treatment? We, at , recommend an individualised treatment protocol for each patient after thorough clinical assessment, and combining with different available modalities to give maximum benefit in each session.